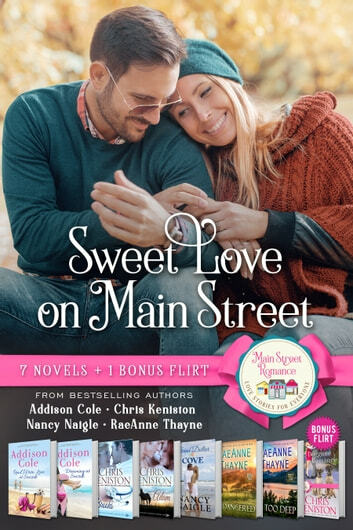 Sweet with Heat (SWH) books are sweet editions of NYT bestseller Melissa Foster’s steamy-romance collection, and they are written under her pen name, Addison Cole. Adam - Having grown up in a small town (about 3500) I loved the small town setting of this book. Adam is such a great guy. Meg is a run away "almost" bride who ends up stranded on the side of the rode and guess who is her white knight? Great start to the series. Can't wait to read about the rest of the brothers and sister. Brooks - Toni has come to town to attend Meg & Adam's wedding. She and Brooks meet and sparks fly. I really like Adam book 1 and loved how Adam and Meg are included in this book as well as Connor who book 3 is about. I think the author is a great writer and I have enjoyed many of her books. I do have one complaint, and this is strictly my opinion, Toni is married and she and Brooks kiss. I realize her husband is abusive and much more but she still shouldn't cheat. That being said, I really liked her and Brooks is such a sweet guy. Doggone Romance - Great start!! Such a cute romance. Kelly and Rick get wrapped up in each other - literally - well there are dogs involved. Such an adorable town. Can't wait to read the next one. Seven books by four fantastic authors. If you have never read any other these authors, you are in for a treat. This is a perfect way to get to know them. Trust me you will be hooked. I highly recommend this box set. It will not disappoint. This review is my option and mine only. A Sweet Collection of Romance Stories. Every romance readers wish: a great collection of stories by 4 amazing authors. If you are looking for something good to read this summer, this boxed collection is a great choice. The authors provide us with 7 incredible stories that are light, romantic and fun to read. The stories are told in a such a way that teens through seniors will enjoy them. I loved them all!